After three decades of development, 3D printing is no longer an exclusive and expensive hobby, and home 3D printers are becoming increasingly available and affordable. McKinsey Global Institute has forecast that 3D printing could generate US$230 billion to US$550 billion per year by 2025 in terms of market scale. The largest source of this, it suggests, would be from consumer uses, followed by direct manufacturing and the use of 3D printing for tools and moulds. Although 3D printers are still primarily targeting hobbyists, engineers and techies, mainstream consumers are not far behind. XYZprinting, a 3D printing designer and manufacturer, today launched da Vinci 1.0 AiO, an all-in-one desktop printer which integrates scanning and printing capabilities, to the mainland China market. The concept of all-in-one 3D printers isn’t new: there are several similar printers like AiORobotics’ Zeus, but da Vinci 1.0 AiO differentiates itself with a more affordable price and laser sensing technology. Moreover, XYZprinting manufactures the printers in Thailand and has a monthly capacity of 10,000 to 20,000 units, according to Simon Shen, chairman of the company. In Chinese market, de Vinci 1.0 AiO has been on sale on e-commerce platforms like Amazon, Taobao, JD and Suning, as well as the bricks-and-mortar Suning Appliance store. The scanner features a printing size of 20×20×19cm, scanning size of 15×15cm (max) or 5×5cm (min) and a scanning accuracy of 2m pixel. It allows the use of ABS and biodegradable PLA resins, but only supports single color printing. Powered by the scanning function, da Vinci 1.0 AiO is recommended for non-techie customers who don’t know how to compile 3D drawings of target objects with professional software. The proprietary scanning assembly underneath the printing platform enables a full 360-degree scan and acquisition of the scanned objects within five minutes. The company told Technode the printer utilises new dual-head laser scan technology, where one sensor is placed on the top and another placed at the bottom on the facing side so that the sensors can scan an object from odd angles. After the scanning, users can then use Smart-fix technology to improve the coverage rate of a 3D scan. At the press conference, XYZprinting also showcased the prototype of Nobel 1.0, a Sterolithography-enabled 3D printer targeted at the professional market. This product is expected to hit the market in 2015. The company’s two previous products, da Vinci 1.0 and da Vinci 2.0 Duo, have been well received by the market. Shen disclosed that the U.S. market remains XYZprinting’s biggest market globally, accounting for around 40% of their total sales. 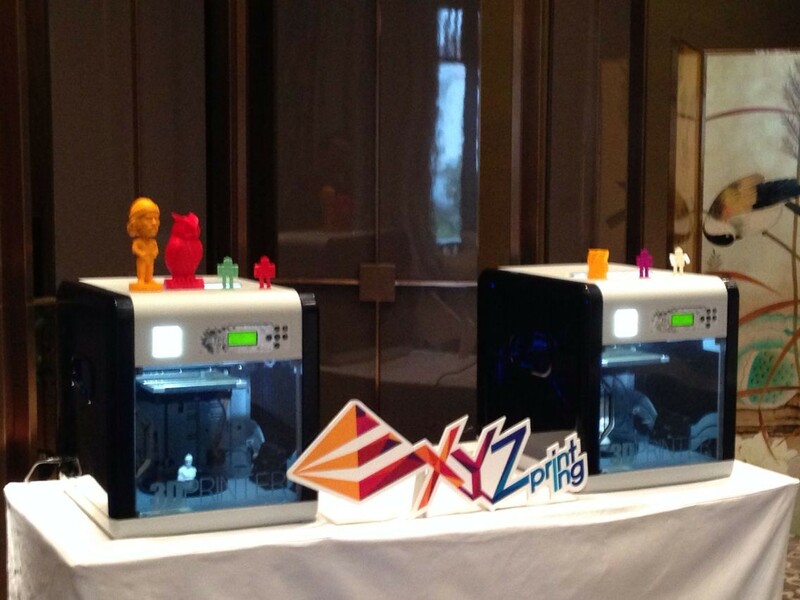 “But excellent business prospects for 3D printing in mainland China has meant rapid business growth for us. This is particularly so in the areas of engineering, design, education and creative works,” Shen added. 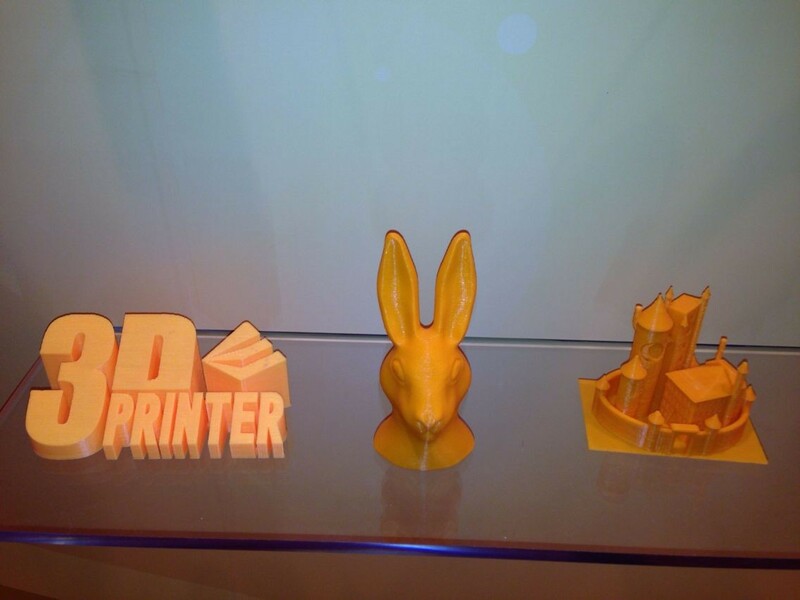 XYZprinting has formed partnerships with a series of domestic institutions, including universities, college, and global design competitions. Founded in 2013, XYZprinting is supported by New Kinpo Group, a subsidiary of Taiwan-based Kinpo Group, one of the world’s largest electronics conglomerates. XYZprinting China is based in Suzhou, Jiangsu province.